Happy Day Stampers! I've been playing with new toys to create a class at the cutest little victorian antique home that serves tea and scones. It's call Charms at Leffingwell and it's in Ellenton and Bobbi, the owner, is just as sweet as can be! I am so excited about this class offered with tea and scones....it's in the house amongst all the antiques and findings! 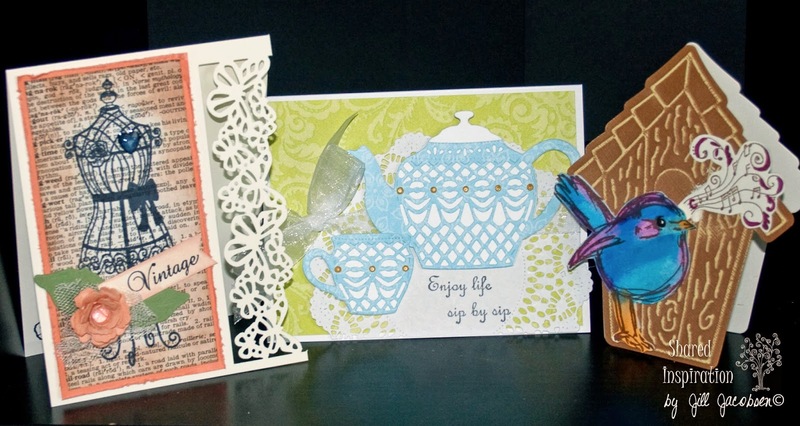 That is my inspiration for these cards today. 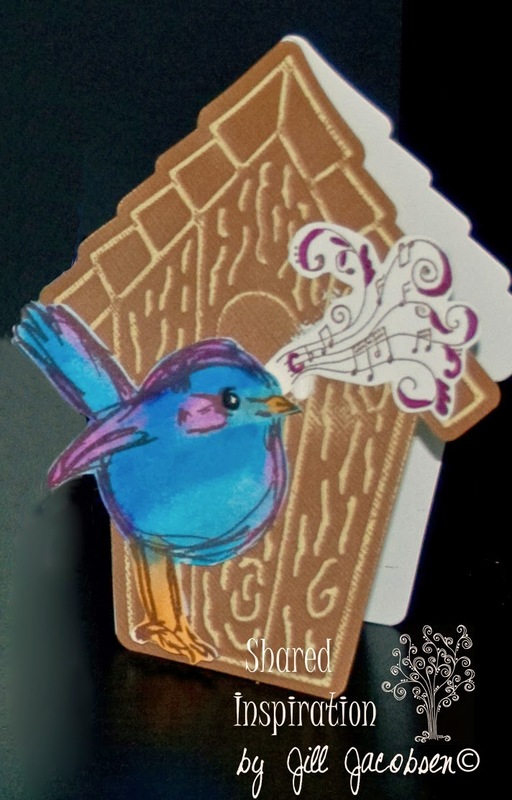 I love all three cards, but this little birdies was talking to me:) It's the new Dina Wakely Squiggly Birds stamp set that I just got and LOVE!! 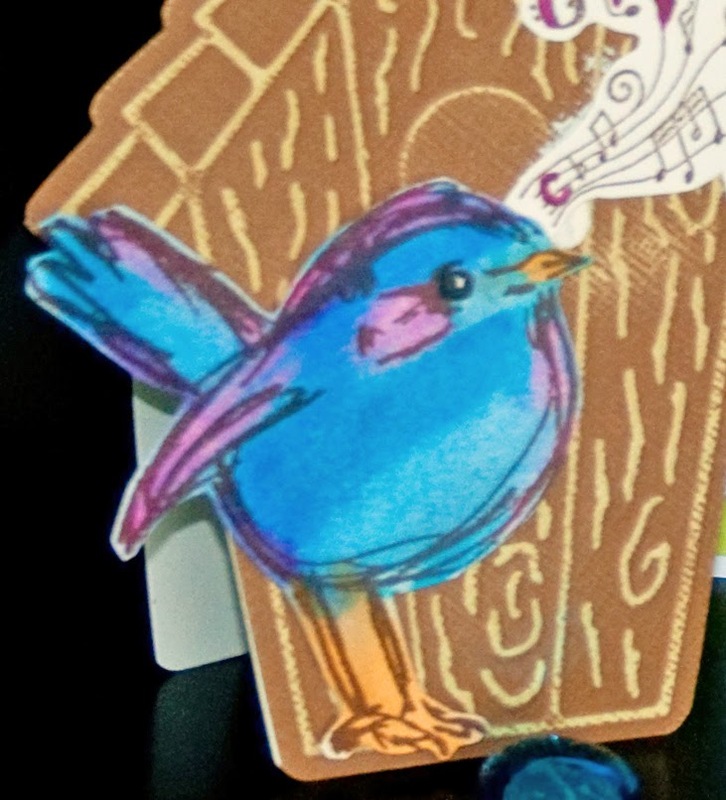 Then I was shopping at Hobby Lobby and found this Sizzix Bird House Die with the matching embossing folder!!! PERFECT!!! and it was on CLEARANCE!! I used some Core-dinations cardstock and sanded the front, then I used my Music stamp set for the birds song. I colored the bird with Gelatos and just rubbed with my finger. Until later.....do something creative today! !